Angola has its first new president in nearly 40 years, but bringing change might prove difficult as long as the economy remains dependent on diamonds and oil. Richard Swift reports. Angola has its first new president in nearly 40 years. The ailing José Eduardo dos Santos has stepped aside to turn over the reins of the MPLA (People’s Movement for the Liberation of Angola) to the 63-year-old João Lourenço, a man with a solid MPLA pedigree – going from a guerrilla fighter in his youth to holding several important positions and most recently serving as Angola’s Defence Minister. 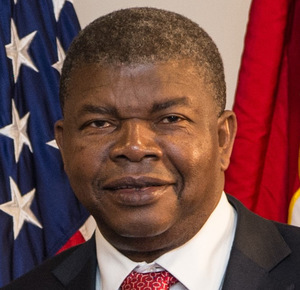 His appointment maintains MPLA’s control over Angolan politics, which they have enjoyed since leading and winning the anti-colonial struggle against Portugal back in 1975. But replacing the secretive dos Santos has not proved straightforward. In the election held on 23 August the MPLA’s share of the vote dropped to an all-time low of 61 per cent, amid charges from the main opposition party UNITA that the government had misused its media monopoly for electoral purposes. Tumbling oil prices have made for a difficult situation in an Angola whose economy is subject to the ‘resource curse’, which plagues many petroleum-dependent countries in the Global South. While Lourenço is committing the government to an agenda of change, including tackling poverty through employment, this will prove difficult without diversifying the economy away from diamonds and oil and those who control them (such as the former president’s daughter, who runs the national oil company). Hopefully, he will also take some time to ‘change’ dos Santos’ abysmal record on human rights and his habit of smothering all critical voices, from street vendors to housing advocates and hip-hop rappers.